It sounds a lot but this time last year, FA2 which builds Ranger Rover Velar and Jaguar F-PACE was spending over £13.8k a week on consumables - whether it be high vis jackets, gloves, or tapes. Taking on the Project Charge call to action they have saved over £100,000 since the end of last year. 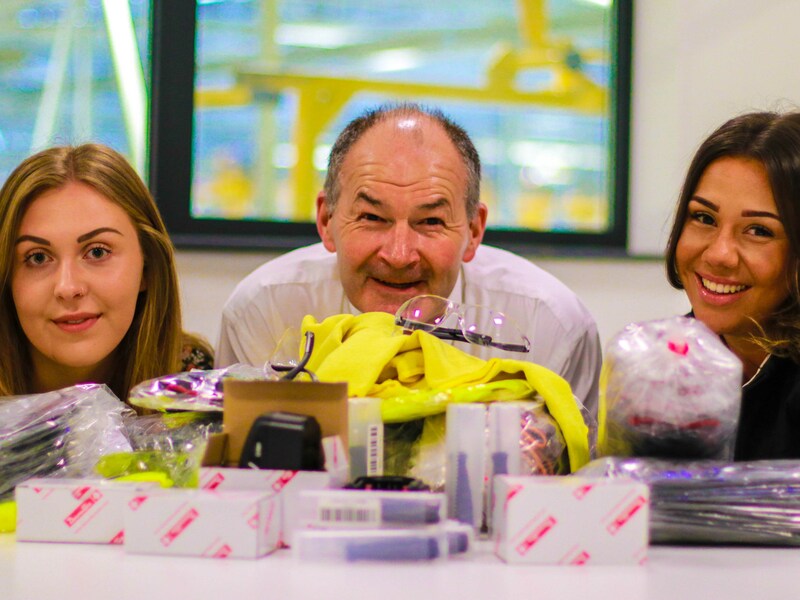 Hayley Weaver, Rose Morgan and Paul Gardiner took on the Project Charge call to action and with some shrewd thinking have managed to save over £7,000 per week on consumables since. Super saver and FA2 Manufacturing Administrator, Hayley explained, “It used to be a bit of a free for all when it came to ordering consumables. As long as someone had access to the ordering system they could order as much as needed. It meant we didn’t have a huge amount of control on what was being ordered and how much was being spent. Hayley, Paul and Rose we commend you for your shrewd thinking and it really shows getting things under control can really save a lot of cash. Do you have a cost saving idea which you think could help our business save much needed cash? Speak with your line manager about how you can get involved in Project Charge.